Dubai: A US-based British vlogger Alex is on a warpath with the Pakistani tourism authorities. They invited her for to talk at a tourism summit in Pakistan earlier this month. But, when they saw her rather searing evaluation of the touristic experience, they didn’t let her speak. She is now using social media to talk about this censorship and social media users in the country are commending her for speaking up. This was Alex’s fifth visit to Pakistan. She is a travel blogger who runs a website and YouTube channel called Lost With Purpose. She has visited several countries around the world and South Asia, and has also been writing about and photographing Pakistan since 2016. She then went on to explain the issues that come with promoting a skewed view of the travelling experience in Pakistan. “Despite the purpose of the summit being to talk about travel in Pakistan, it seemed like no one was actually ready to be critical about it,” Alex said. Pakistani authorities have described the event as “A summit of Pakistan’s leadership, tourism departments, corporate sector and travel professionals to evolve the tourism industry of the country”. Pakistan’s Prime Minister Imran Khan had attended the two-day event. However, criticism began as soon as the summit took place with many questioning why no local travel bloggers were invited. Many appreciated her “realistic” account of travelling in Pakistan as well as efforts of shedding light on the issues that remain in the country. 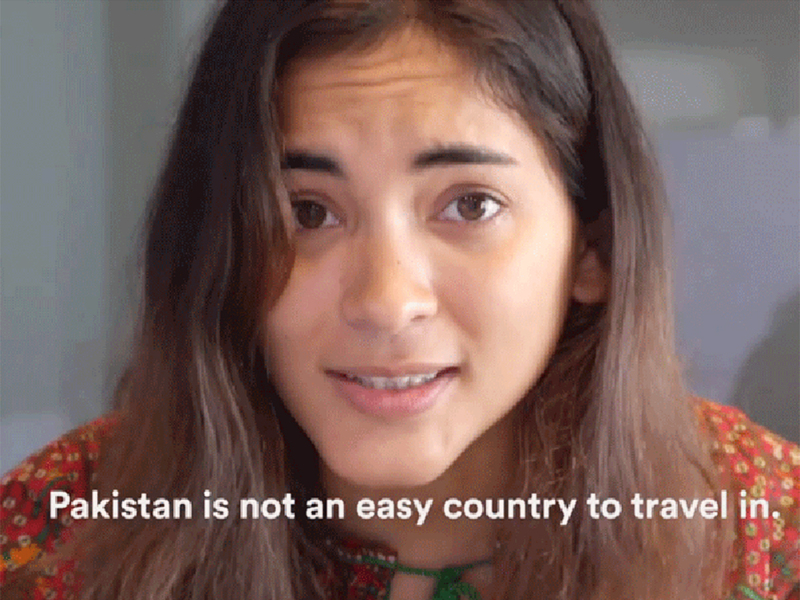 Towards the end of her video, Alex highlighted why “overly positive social media coverage of the country” can be a significant problem and how it is “dangerous for Pakistan’s tourism”. She highlighted some of the cultural sensitivities people need to be aware of when coming to the South Asian country and that some foreigners, specifically people of colour, might not have the same experience like those who were facilitated by authorities in the country during their trip. Safety of women travellers and vloggers was another concern she raised. Many social media users agreed with her and questioned the idea of the controlled image of Pakistan that is being promoted through social media platforms and influencers. Like Alex, many also believe that this might hinder the progress the country is aiming to go through and might prove detrimental to Pakistan’s image in the long run.